Hello TNM readers and welcome to the TNM Home Media News Recap for 04/04/18. We are going to be trying a new format so you, our reader, will be informed of what is going on in the world of Blu-ray and Home Media News. We’ll also at times include some indie gaming items that we love and the big guys might miss. This will also be a way to support our partners and let you stay abreast of what they have coming out. Just click on the links and it will scroll to the news you want to see. 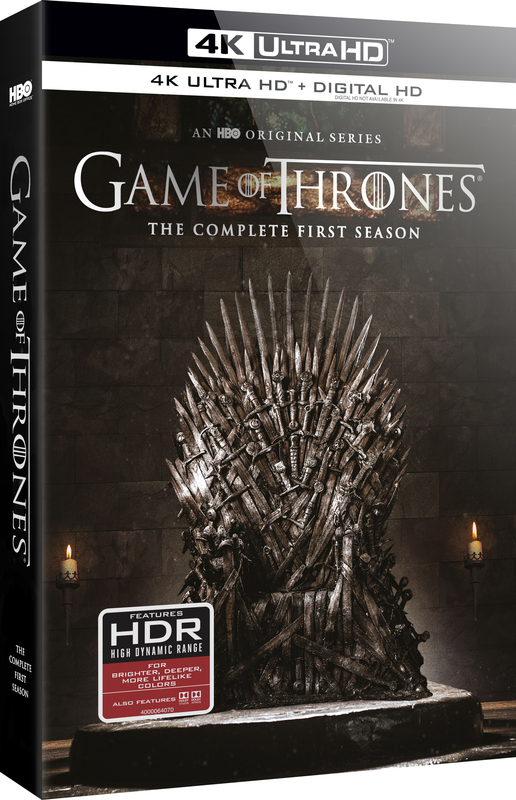 Game of Thrones Season One 4K UHD – Relive the warmer days and calmer nights of Westeros when Game of Thrones: Season 1 makes its highly-anticipated debut on 4K Ultra HD optimized for Dolby Vision High Dynamic Range on June 5th from HBO Home Entertainment. Heralded as an “HBO triumph” (Boston Globe), Season 1 of the visually stunning fantasy epic, described as a “menacing, brutal and complex solid start” (The Guardian), includes all 10 episodes beautifully redone in 4K format to give fans the ultimate clarity and detail on HDR TVs. Queen of the Seven Kingdoms – The first beer in Brewery Ommegang and HBO’s Royal Reserve Collection is just hitting stores this month, but the second beer is already on the horizon! Queen of the Seven Kingdoms, the second in a series of four special, limited release beers, each designed and brewed as an homage to one of four epic figures in the battle for the Seven Kingdoms, is brewed and blended for Cersei Lannister. An exceptional blend of Belgian sour ale and Belgian-style blonde ale, Queen of the Seven Kingdoms is fitting for the fair-haired ruler who is as acerbic as they come. Available throughout Ommegang’s distribution network on June 29, Queen of the Seven Kingdoms will be offered both on draft and in 750ml bottles. The suggested retail price for a bottle is $12.99. “Cersei is a complex character, and we’ve tried to emulate that profile with this beer, which blends a lovely, dry blonde ale with a subtly tart Belgian sour,” says brewery president Doug Campbell. “When we set out to create the Royal Reserve Collection, we knew we had to pay homage the character currently sitting on the Iron Throne. We’re very happy to present this tribute to the Queen of the Seven Kingdoms herself, Cersei Lannister” said Jeff Peters, Vice President of Global Licensing and Retail, HBO. The Royal Reserve Collection features four brand new beers in the brewery’s Game of Thrones-inspired series with HBO. All of the beers will be available on draft and in 750ml bottles. The series begins with Hand of the Queen, a barleywine, which launches in April, then Queen of the Seven Kingdoms, followed by two additional beers that launch in October and December 2018. Details and images of future beers will be announced throughout the year. Pre-order now for early shipping. Plus, you will also receive an 18′ x 24″ rolled poster of the newly-commissioned art. The posters are made in a limited quantity so act fast. 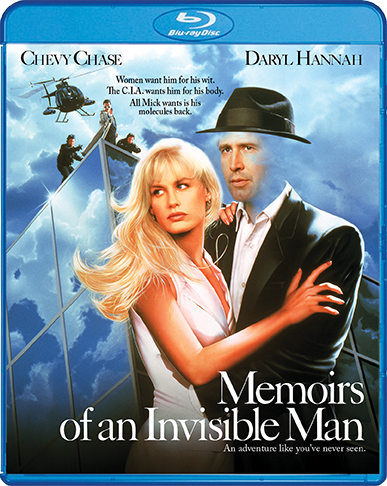 MEMOIRS OF AN INVISIBLE MAN (1992) – The laughs and visual effects are out of sight when Chevy Chase headlines Memoirs of an Invisible Man. Invisibility makes it easier to spy on agents (particularly chief adversary Sam Neill) who’ve put him in his predicament. And he can romance a lovely documentary producer (Daryl Hannah) in a way she’s never “seen” before. 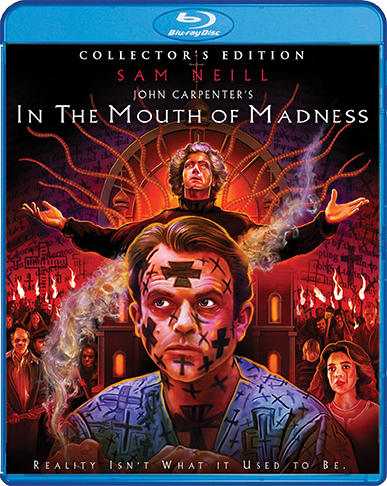 John Carpenter directs and Industrial Light and Magic create eye-opening effects as Nick embarks on his manic quest. Seeing is believing! Pre-order now for early shipping. SOMEONE’S WATCHING ME (1978) – Los Angeles newcomer Leigh Michaels (Lauren Hutton) moves into a chic high-rise apartment building. She loves the view. So does the Peeping Tom who lives somewhere in the adjacent tower. For Leigh, it’s the beginning of terrors that escalate from anonymous calls and gifts to lights that mysteriously flicker to prove that someone watches every moment of her life. Leigh fights back, matching her tormentor’s obsession with her own relentless drive to uncover his identity. The prey is now predator – and that escalates the stalker’s game to a deadly new level. Someone is watching. Also starring Adrienne Barbeau and Charles Cyphers. Pre-order now for early shipping. First trailer for Season Seven of The Walking Dead!